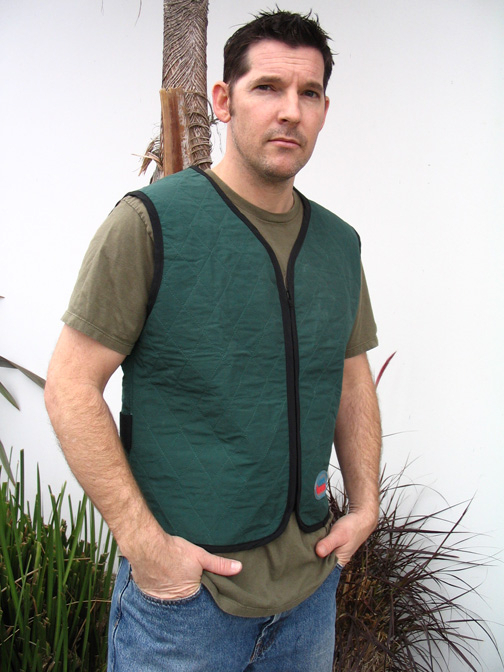 Home / Cooling Clothes / Cool Vests – REFLECTIVE Unisex Cooling Vest Large Green. BIG SALE. Cooling vests: This is a unisex cooling vest with REFLECTIVE STRIPES. SORRY PHOTO DOESN’T SHOW REFLECTIVE STRIPES; it’s this vest with stripes up and down each side, and two strips across the lower part. 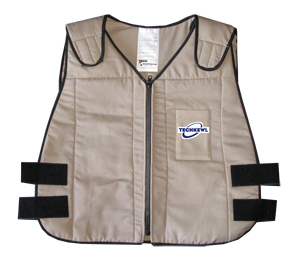 This is a CoolMedics Vest! ONE LARGE GREEN LEFT. NO OTHERS AVAILABLE. This cooling process has been laboratory tested in a heat chamber at 114 degrees. In EVERY test, the fabric maintained a temperature lower by 20 to 25 degrees for a period of 4 1/2 hours before beginning to climb. Immersing the cloth in water for 10 – 30 seconds immediately brought the temperature down to the same 20 – 25% cooler range. Don’t buy too tight! Make sure that the smallest measurement for the size you are ordering is big enough. You may return any friendsofwater.com purchase within 90 days for a full refund.